I am obsessed with Halloween. The aftermath? Not so much. Regulating my kids’ sugar intake for the next month (then knowing they’re probably finding ways to go behind my back and blow the whole “1 piece of candy a day” rule) is the battle. 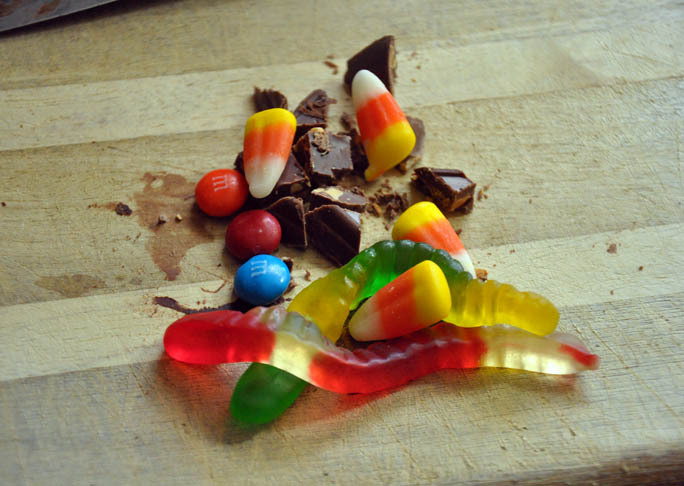 I try to find fun ways to incorporate their candy into fun treats to take to work or even to just sneak some nutrition in with the sugar they’ll be consuming for the next couple weeks. Hot chocolate is always a hit (and between you and me, I chop up a bunch of candy “for garnish” then throw most of it away. My kids don’t have to know). This Melted Candy Bar Hot Chocolate Recipe is Halloween staple in my household every year. It’s crazy simple to make. 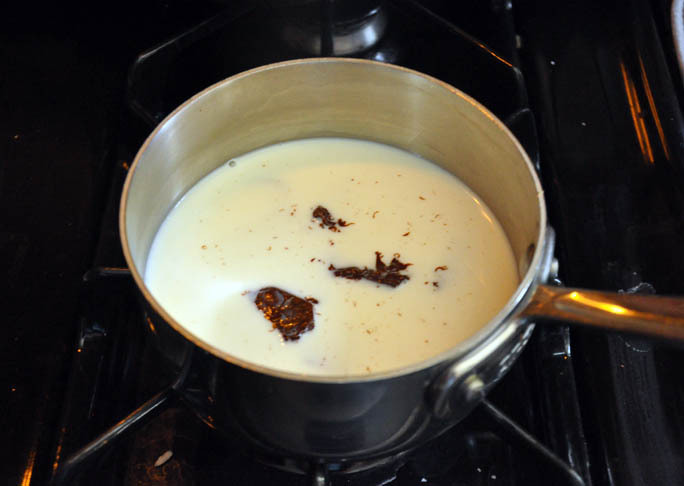 Step 1: Combine chopped chocolate bar and milk in a small saucepan set over medium heat. Simmer, whisking continuously until chocolate begins to melt, about 2 minutes. 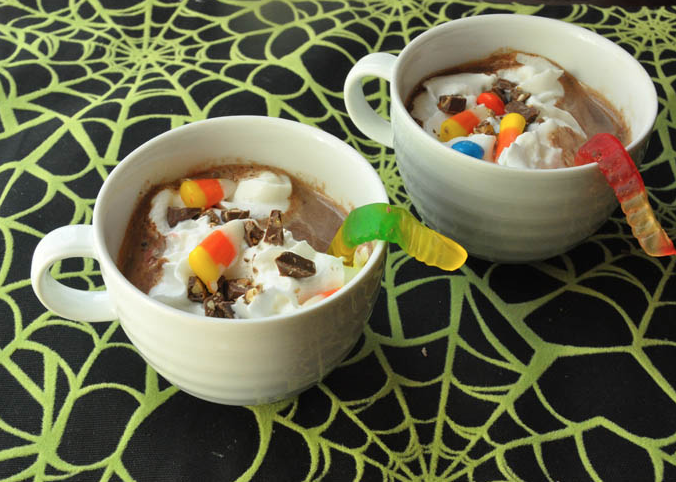 Step 2: Remove from heat, pour into glasses and garnish with whipped cream and candies.